Having served on the executive team of the Royal Canadian Golf Association (RCGA) – and as it’s president in 1989 – Keith Rever has played an important leadership role in the growth of golf across the country. With the Canadian Pacific Women’s Open being held in his hometown of Regina for the first time at the Wascana Country Club – also referred to in short as WCC – Rever sees it as an important step in promoting the game in his home province. “I think it’s great that the tournament will be coming here for the first time and we get to see the best female golfers compete first hand,” said Rever, who served as a director of the WCC for 15 years and served as the club’s president in 1980. “I’m sure seeing the best players compete will inspire more young girls and boys to pick up the sport,” added the Regina native. According to his daughter, Susan Rever, the significance of the CP Women’s Open coming to Regina is recognized by the entire family. “Our whole family is excited, as it is the first time Saskatchewan has hosted an LPGA TOUR event. We look forward to being a part of this,” she said. Recently, Rever – a retired engineer – took a moment to reflect back on his journey as an architect for the growth of the sport in Canada. Rever says he first developed a passion for golf when he took up the sport as a youngster. “My mom and dad rented a house about five blocks from a golf course and I would walk down there in the mornings to play a couple rounds and hit balls during the summer; and if you hit enough balls, you start improving,” said Rever, who has been extra busy this summer helping his daughter with a home improvement project. “I became a junior member at the Wascana Country Club in 1956 and a general share holder in 1960,” he recalled. Rever’s natural talents on the golf course enabled him to compete at the highest level as an amateur. He won the City of Regina Championship nine times and was the Saskatchewan Amateur Champion on two separate occasions. 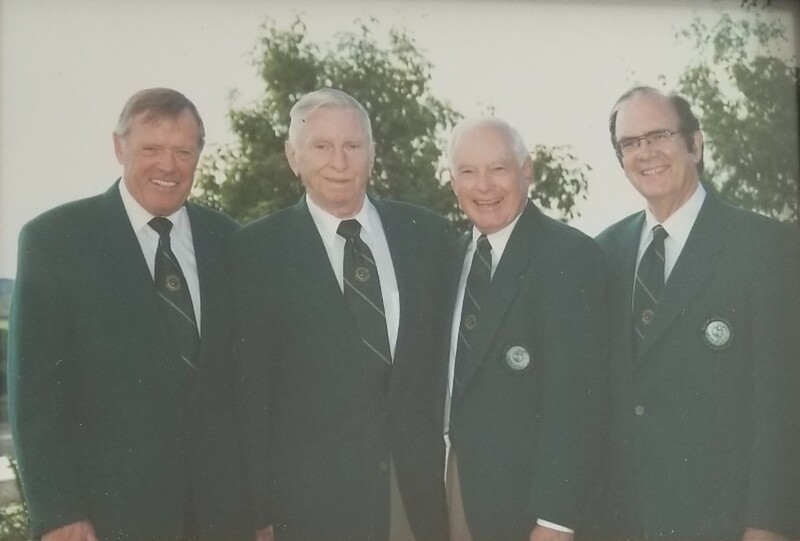 In 1964, Rever was a member of the only team from Saskatchewan to win the Willingdon Cup – an annual team competition dating back to 1927 which features the top amateurs from each province. “The winds were about 50 miles per hour and of course that gave us Saskatchewan boys a bit of an advantage because we were used to it,” he said with a smile about the Willingdon Cup win. In 1971, that championship team – consisting of Rever, along with Alec Bland, who was the non-playing captain, Ernie Greenley, Ed Ross, and Jim Scissons – had their accomplishment honoured in the Saskatchewan Sports Hall of Fame. Rever also has his name enshrined in the Wascana Hall of Fame, as well as, the Saskatchewan Golf Hall of Fame. “His inductions are a reminder of his incredible achievements,” noted his daughter, Susan. While he opted to pursue a career in electrical engineering instead of one as a professional golfer, Rever was committed to remaining involved with the sport in other ways. “I was the president of the Saskatchewan Golf Association in 72 and 73 and back in those days each provincial association nominated a representative to serve on the Royal Canadian Golf Association,” Rever pointed out. At the national level, he was a governor of the RCGA from 1976 to 1985, and on the executive team from 1986 to 1990, with a one-year term as president in 1989. Rever says finding a balance between his full-time career as an engineer and as a member of the RCGA executive team was a bit of a challenge. “It was really difficult to balance the roles; and I think in retrospect it probably wasn’t fair to my family,” he said with a chuckle. “But I’m thankful that they put up with me and supported me in every way and I really appreciated that,” noted Rever, who adds that his wife, Marianne, and his son, Scott, are also avid golfers. Rever says one of the initiatives that he was proud to have supported during his tenure on the executive team was the integration of the RCGA and the Canadian Ladies’ Golf Association (CLGA). “I think I may have been one of the first RCGA presidents to speak at the CLGA annual meeting. Our team supported the idea of amalgamation and I was happy to see it eventually happen,” he said. Rever also recalls one of his biggest thrills was inducting Jack Nicklaus into the Canadian Golf Hall of Fame in 1995. “After I was president of the RCGA, I became chair of the Canadian Golf Hall of Fame committee and I had the honour of being part of the team that inducted Jack Nicklaus,” he said. 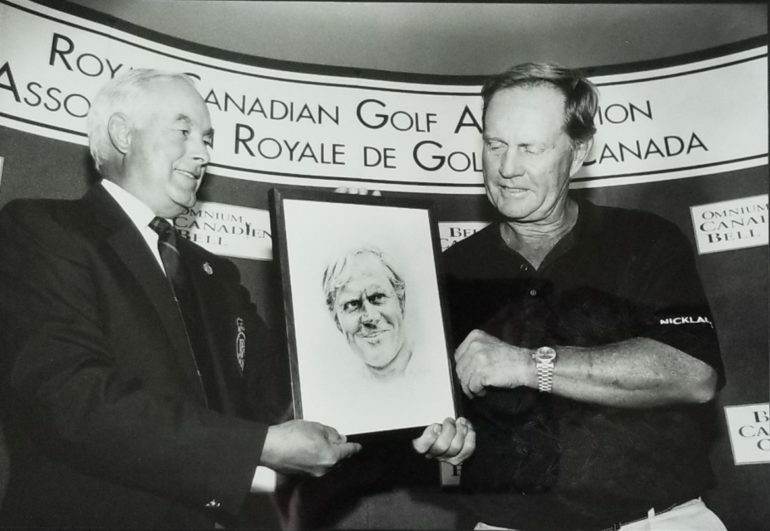 “Jack was always very supportive of the Royal Canadian Golf Association and attended all the (RBC) Canadian Opens and spoke very highly of it; and regarded it as the fifth major in the world back in those days,” Rever noted about Nicklaus who was inducted in the builder category given his role in designing Glen Abbey. While Rever speaks highly of Nicklaus’ contributions to the growth of the sport in Canada, he also speaks with high regard about Brooke Henderson and the significance of her success. “I’m very impressed with Brooke. 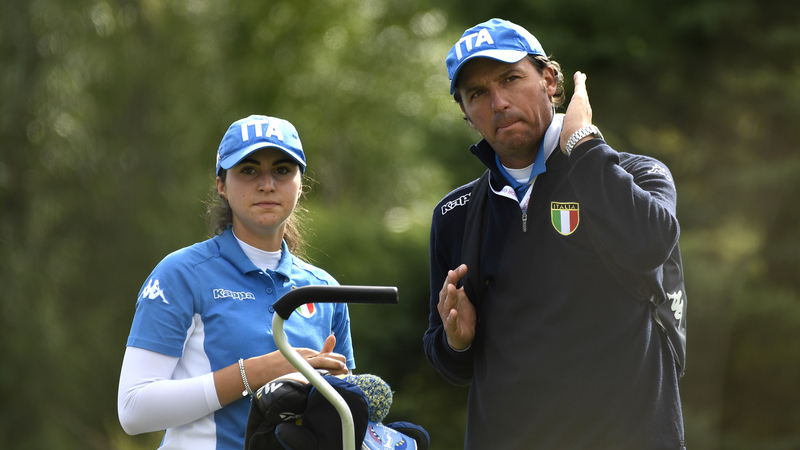 She seems like a very nice young lady who obviously has got a lot of natural skill and also very good work ethic; and her success is definitely inspiring a lot of young golfers in the country,” he said. “So hopefully she’s going to do well when she comes to Saskatchewan. I spoke to her briefly but I didn’t get a chance to tell her to practice her shots into the wind – she’s probably going to need them,” he added with a smile. “I’ve also met Lorie Kane; and I can tell that she’s a really classy lady. Both Lorie and Brooke are great ambassadors for the game in Canada and have done so much to grow the game,” he added about the two CP Ambassadors who have a combined 10 LPGA TOUR titles between them. And while golfers, such as Kane and Henderson, have done so much to grow the game through their accomplishments on the golf course, Rever takes pride in knowing his efforts over the years off the golf course – particularly in the boardroom – has built the foundation for the success of the sport across the country. “It was great to have worked with all the people who were so passionate about the game and wanted to see it grow. It’s also great to know that our efforts over the years have had a positive impact on the sport,” said Rever. With the CP Women’s Open set to tee off on August 23rd in his hometown, the self-described golfing enthusiast says he’s noticing a lot of buzz and excitement surrounding the tournament. 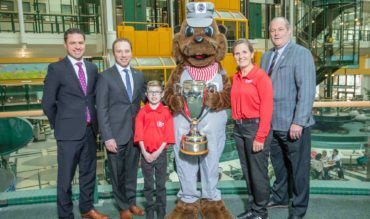 “We had the Brier and also the Memorial Cup here in Regina earlier this year, so its taken a bit of time for the CP Women’s Open to gain traction but now we are hearing about it on the radio and seeing a lot about it in the news,” said Rever.